So I am momentarily and rather maniacally trying to get myself organised for next week’s adventure to Indonesia which basically involves ordering and sending back and reordering clothes upon clothes for our trip. You should see the state of my spare room! 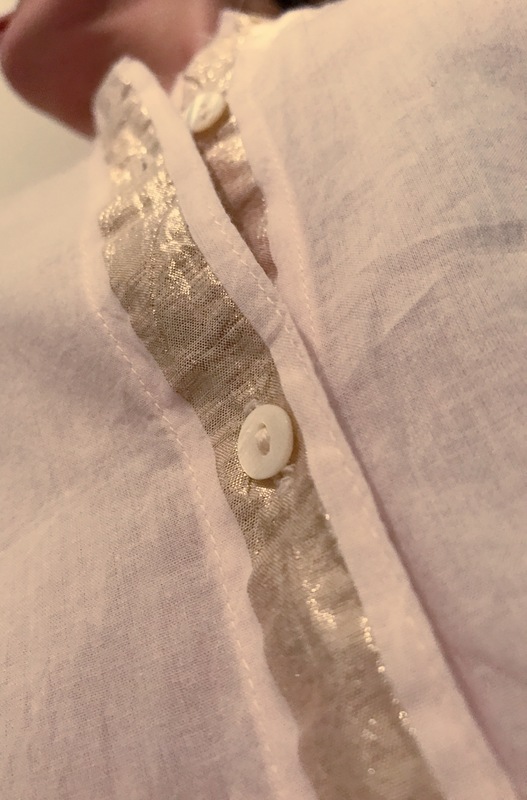 Everything is being done at the speed of lightening leading me to an all too speedy click of a confirmation button….Yes, I thought the blouse I ordered from Free People was crisp white, so I was a little surprised when the package came and a powder pink shirt was awaiting me. But on second glance was rather happy about this…. Not afraid to be a bit of a girl at times, pink of all shades has dipped in and out of my life in different ways over the years and it seems now it is back in the lighter form for me. You may have seen my post on the perfect pink T-shirt from Uniqlo here. So although a little surprised, I happily embraced the pink shirt. On closer inspection the website does state the shirt is lavender but I would definitely say powder pink. I ordered this primarily to throw on at the beach when the sun (hopefully) gets too hot for my not so used to it UK skin, with a pair of denim cut offs and book in hand but now on arrival, it is happily picking up my wardrobe with a pair of jeans in these crazy Spring almost random Summer days we are having. I love mostly the metallic detail and the gather on the arms, just to give it that more bohemian feel. Made with soft and lightweight cotton, this semi sheer (semi a good thing, I hate it when I have to layer underneath to keep things family friendly) everyday, comfortable. And I’m going to say this very pretty shirt has it all and will sustain a place in my summer wardrobe way after the beach days are over -even if it is powder pink! Oh and it is currently on sale too! If only I could be as open minded to change when other things arrive and are not quite as they seem in my life…..Maybe a lesson learnt!